While enjoying a nice summer evening, what could be better than grilling a burger outside and then biting into it with all the delicious juices running down your chin? 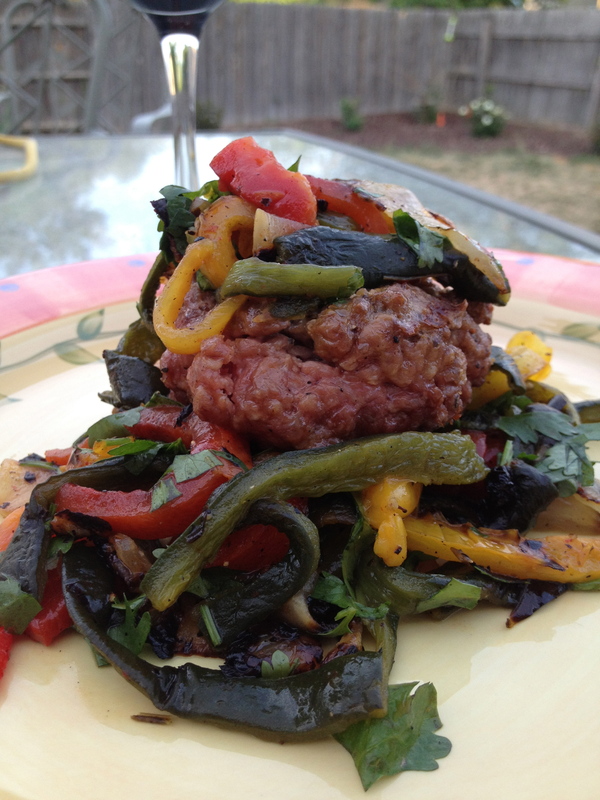 Enjoying that burger with a delicious pepper salad! 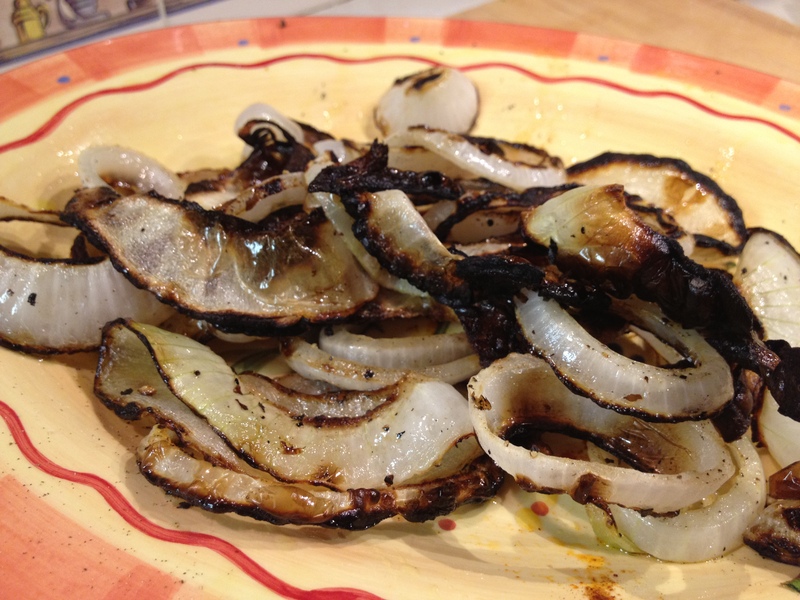 Slice the onions and char them on the grill. I used a grill pan to keep them from slipping through the cracks. Grill the peppers whole until the skin is charred. 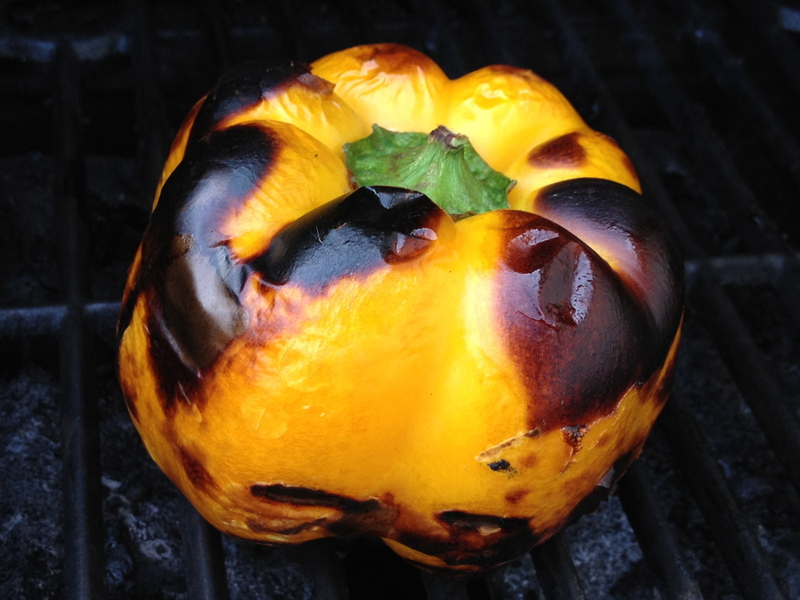 Remove from the grill and cover for about 15 min. Peel the skin and slice the peppers into long thin slices. Mix onions, pepper and cilantro together. Add salt and pepper to taste and let sit. Grill up your favorite burger. 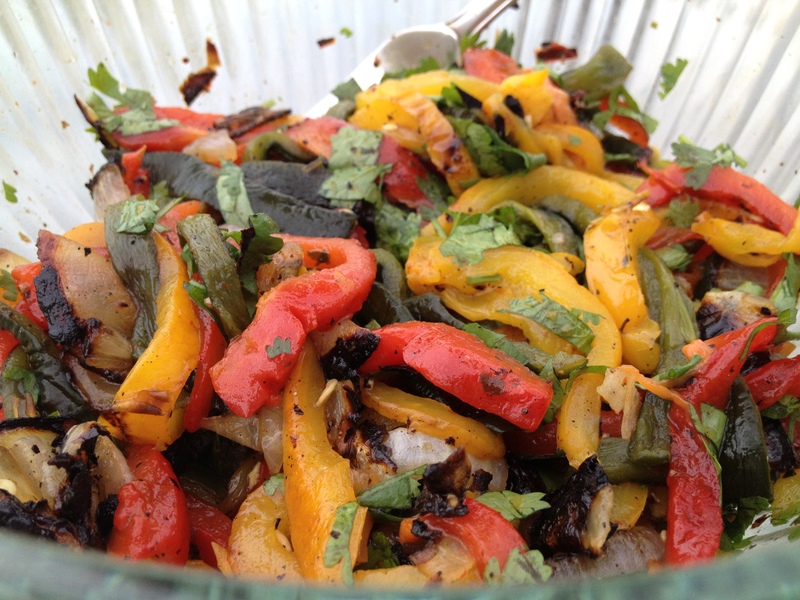 I just added salt and pepper to mine to keep it simple with the pepper salad.